In a hilarious movie, Oh Happy Day (mentioned below) was sung in a 1993 comedy featuring nuns and a bunch of high school kids. Can You Guess what movie the song was in. Extra credit. Who was the soloist and what is he doing now? 1794 - First performance of Haydn's Clock Symphony. 1912 - Birth of American organist Virgil Fox. 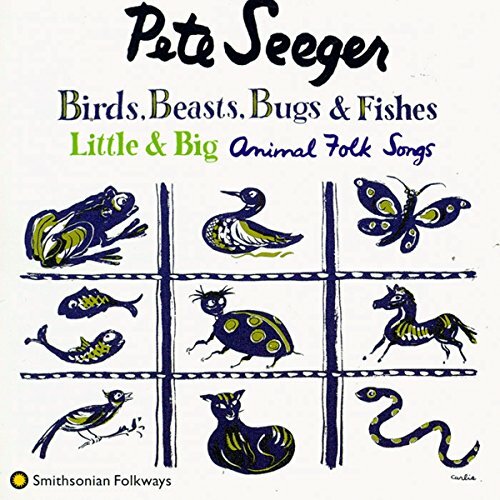 1919 - American singer Pete Seeger was born. 1928 - "Godfather of Soul" James Brown was born. 1969 - Oh Happy Day, by the Edwin Hawkins Singers enters the top 40. 1971 - Founding of the National Public Radio (NPR) network in the U.S.
1971 - Carnegie Hall announced that it will open its doors to rock, pop and jazz artists as well as classical. 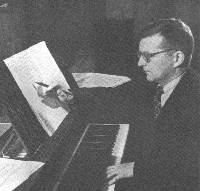 May 3, 1969 marked the first performance of Dmitry Shostakovich's violin sonata. David Oistrakh was the soloist. Shostakovich was born in St. Petersburg September 25, 1906. His musical talent was noticed early. When he was just 5 years old, he attended an opera with his parents. The next day they were shocked to find that Dmitry could sing several of the songs from the opera. Shostakovich began piano lessons with his mother at age 9. For a time after his father died, Dmitry supported himself and his mother playing piano in movie theaters (films were silent at that time and pianists in each theater would play music to accompany the films.). The story goes that Dmitry loved the films so much that he got too involved and laughed so hard at the films that the theater owners would not let him stay on. Shostakovich entered the Glassner School of Music. In 1818 he entered the Petrograd conservatory. There, with the help of Glazunov, he studied piano with Nikolayev and composition with Steinberg. He earned an "honorable mention" in the 1927 Chopin Competition, and his first symphony (which was his diploma work from the conservatory) won him worldwide fame when he was only 20. 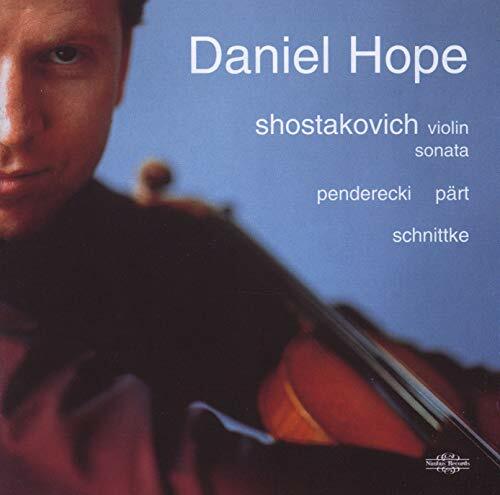 Of interest to the violin student is Shostakovich's Violin Sonata. The work was completed in 1948, but withheld and reworked. It was not until 2 years after the composer's death that it was debuted. David Oistrakh performed the violin part, with Sviatoslav RichterIt on the piano. Shostakovich's career was integrally tied to the Soviet Union. Although he often sought to write music which combined elements that he had heard in music outside the country, he was criticized by his country's leaders. They believed that he should do a patriotic duty by writing music that would inspire the people. His symphonies finally brought him back into favor with his country's leadership. He was very prolific in his symphony work, producing fifteen symphonies in all. He wrote a great deal of music for the piano. Shostakovich was also very interested in chamber music, writing fifteen string quartets. Dmitry Shostakovich died August 9, 1975. Ryan Toby, who now writes songs for such singers as Usher, sang Oh Happy Day in Sister Act 2: Back in the Habit. Mariachi Violin Transcriptions Arranged by Laura Sobrino. For Violin. Solos. Mariachi. Level: Beginning-Intermediate. Book. 80 pages. Published by Mel Bay Publications, Inc. Celebrate Cinco de Mayo All Year Round!